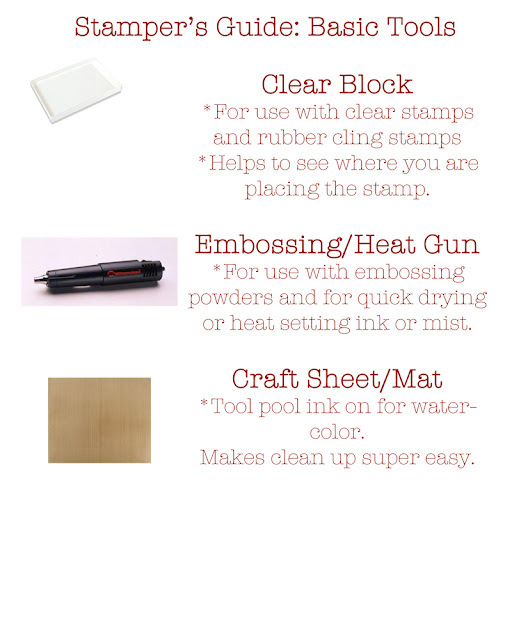 Today we are going to list a few basic tools and stamps to have when stamping. So here we go! What do you think? Do you have all the tools and gadgets for stamping? Do you have a preference between rubber or clear? Let us know! I still need a craft mat. Might help me contain my messes! I prefer clear these days, which surprises me. 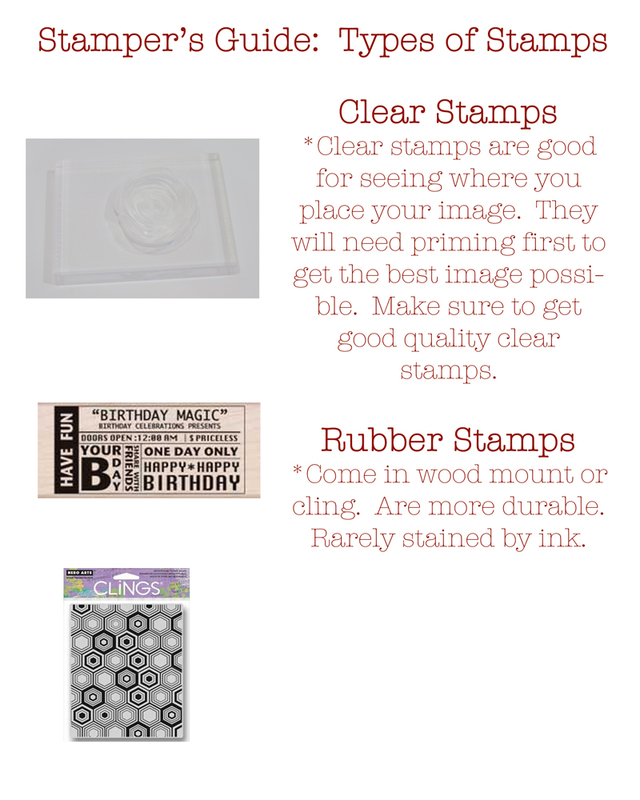 I love how I can see if there is ink on the whole stamp, I can place it properly, etc. I have all the goodies:-) Love my mat because it's also heat proof for embossing and adhesive comes off easily if I miss my project. I prefer clear stamps not only because I like to see where I'm stamping (and can line things up if I don't stamp well the first time), but I'm also allergic to rubber so I try not to do as much with rubber.